Energy Assistance | Grand Valley Rural Power Lines, Inc.
We work with our members in need. If you find yourself saying, "I need help with my utility bills, who do I contact? ", you are not alone. Energy is a basic necessity of modern life. The heat and electricity that we use in our homes keeps us safe, healthy, and comfortable. Heat and electricity allow us to cook, bathe, learn, sleep, and grow. Without them, we are unable to safely store food, wash our clothes, heat our homes, and a dozen other essential daily tasks we take for granted. Grand Valley Power strives to provide all families with affordable energy, and will work with our members in need. The information below is to help our members when they need it most. Grand Valley Power offers a free program that makes it easier to budget your expenses in a given month. We spread your payments evenly throughout the year over an 11- month period, and on the 12th month we detemine a debit or credit, based on your actual usage. Budget Billing lessens the impact on your budget during the winter and summer months when utility use is likely higher. So despite unpredictable swings in the weather and your usage, your utilities bills are still predictable. If you have no outstanding or delinquent amounts owed to GVP, and have at least one year usage history, you are eligible for the budget-billing plan. If you are interested in this program, please call us at 970-242-0040 to enroll. This program, which is made possible through a partnership with the Colorado Energy Office and GRID Alternatives, focuses on providing an easy, affordable opportunity for our income-qualified members to participate in local renewable energy. You can apply to get a 4 year, no cost subscription to some of the solar panels in this large system. Your subscription will earn credits on your electric bill, lowering it a bit each month. No equipment or solar panels will have to be installed at your home. The application process is being managed by GRID, so contact them to see if you qualify and to receive an application. Contact GRID to request an application. Every hour of every day, hundreds of people need essential human services-they are looking for training, employment, food pantries, help for an aging parent, addiction prevention programs for their teenage children, affordable housing options, support groups and ways of becoming part of their community. 2-1-1 allows people to give help and to get help. Dial 2-1-1 (cellphone only) to get connected right away with help. Region 4 of the Colorado 2-1-1 call centers serves Archuleta, Delta, Dolores, Eagle, Garfield, Gunnison, Hinsdale, Lake, La Plata, Mesa, Montezuma, Montrose, Ouray, Pitkin, San Juan, and San Miguel Counties. 2-1-1 is the National abbreviated dialing code for FREE access to health and human services information and referral. Our goal is to help those with limited resources locate the programs in their area to assist them in their time of need for services such as food, financial assistance, home health services, transportation, medical and dental services to help cut through the confusion of calling agency after agency to locate the appropriate assistance. LEAP is a federally funded program administered by the Colorado Department of Human Services and is designed to assist with your winter heating costs. LEAP is not intended to pay the entire cost of home heating. If you are applying for LEAP assistance you should continue to pay your home heating bill. The LEAP eligibility period runs from November 1st through April 30th. To pick up an application stop by the Mesa County Department of Human Services located at 510 29 ½ Road in Grand Junction or for more information call (970) 241-8480. Housing Resources of Western Colorado is a private non-profit corporation providing affordable housing and promoting the wise and sustainable use of resources. For people who are struggling with their energy costs, Housing Resources offers the Weatherization program. This program works with the Colorado Energy Office to improve the energy efficiency of all residential structures. The Weatherization program provides energy upgrades to income-qualified homes to help keep energy costs low. For more information on this program, click on the logo below, stop by Housing Resources of Western Colorado’s office located at 524 30 Road, Suite 3 in Grand Junction or call (970) 241-2871. Grand Valley Catholic Outreach offers financial aid for utility bills to those who are denied assistance by the LEAP program. You may apply to their utility assistance program, which is primarily funded by the Energy Outreach Colorado Foundation. Assistance is awarded on a case by case basis according to Grand Valley Catholic Outreach policies and guidelines. For more information on this program please stop by Catholic Outreach’s Central Location at 245 South 1st Street in Grand Junction and apply in person between the hours of 9:00 and 11:30 A.M., Monday through Friday. The USDA has a Single Family Housing Repair Loans & Grants program which provides funding to very low income families that need to make improvements on their existing house. These funds can be used to bring the home up to minimum standards and/or remove health and safety hazards. Eligible applicants for this program must reside in unincorporated rural areas with populations of 10,000 or less. The rates and terms (subject to change) for the loans are as low as 1% up to 20 years. Loan assistance may not exceed $20,000 and grants are available to those who are 62 years or older with a limited income and the maximum lifetime grant amount is $7,500. 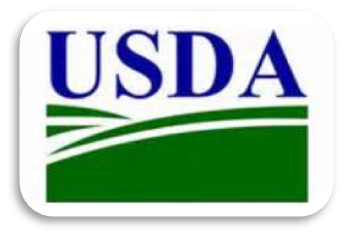 For more information please contact the regional USDA office located in Delta at (970) 874-5735 ext. 4. Benefits.gov is a cross-governmental collaboration between 17 Federal agencies that provide benefits to U.S. Citizens with a variety of needs, including food, weatherization assistance, health care and more. Donations are always accepted and welcomed. You can make a tax-deductible donation to Energy Outreach Colorado. This donation can be made through Grand Valley Power at the bottom of your monthly bill. Just select what amount you would like to donate monthly and this amount will be automatically added to your monthly bill until you choose to discontinue your donation by calling our office at (970) 242-0040. You may also donate to those less fortunate through Grand Valley Catholic Outreach by contacting Grand Valley Catholic Outreach at (970) 241-3658.